Death lingers in the air at this time of year. Ghastly ghouls, wicked witches and spooky skeletons decorate shops, costumes and cakes, as everything occult fascinates society at Halloween. Perhaps it’s our way of confronting the inevitable, the journey of life towards the grave that no one particularly wants to talk about. Halloween decorates death with a mostly comical slant; ergo it becomes more acceptable, slicing and dicing the edges from the fear and disgust of the decomposed, emaciated body, the dissolution of earthly life. We are reminded in a joking atmosphere that Death has become light hearted, transforming some people into what I would describe as necromaniacs! Necromancy, dancing spirits and ghostly stories abound at this time of year, but underneath this creepy consumerism and fun there’s a deeper message lurking for anyone who dares to look harder. Could it be modern society’s memento mori minus the seriousness of Christian theology? It’s a subject people are loath to ponder, why would one meditate on one’s own demise? Yet the transience of life, the fragility of physical existence is all around us, we have all been touched by death’s tendrils in one form or another. Our ongoing mortality is grounds for practising gratitude, for no matter how bad things get, we are at least still breathing! It’s a stark reminder not to take our existence for granted. 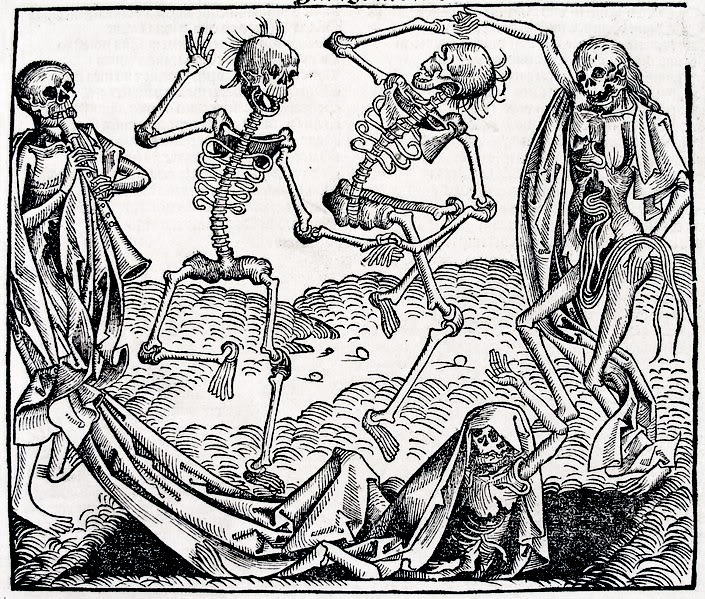 Musically, culturally and artistically, the dance of death has its origins in medieval France. 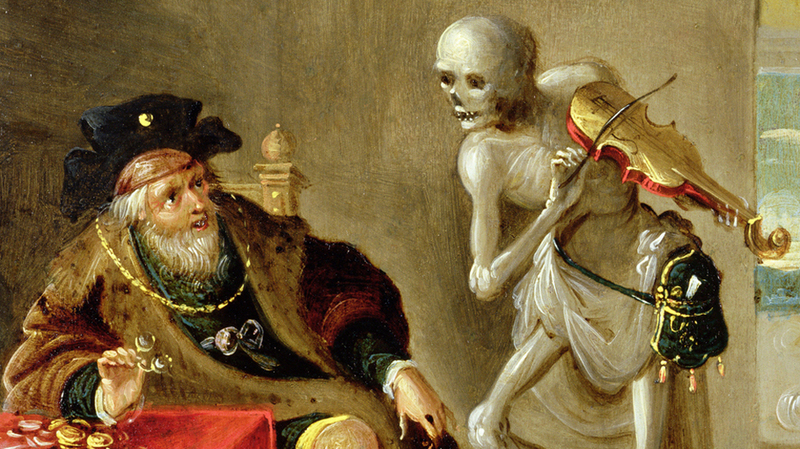 Dancing and death went hand in hand – the allegory of the longest sleep. The Danse Macabre was designed to show us that no matter our station in life, whether lowly or exalted, death is the harbinger of equality; it eventually comes for us all, and one should consider one’s earthly activities in order to earn a spiritual meritocracy – aka eternal salvation, entrance into heaven/immortality. 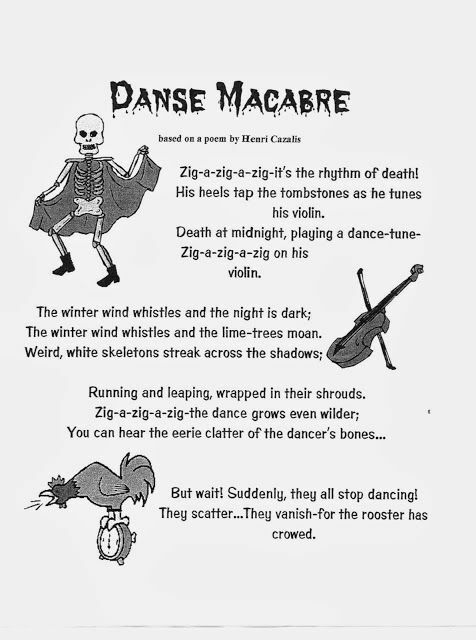 Throughout medieval France and Europe the Danse Macabre/Totentanz was a serious message about the inevitability of death, packaged as entertainment (life was pretty grim for the ordinary folks), and was expressed in poetry, church murals, paintings, Hans Holbein’s woodcuttings and in religious hymns. The poor souls that inhabited Paris throughout the cruel and bitter civil war between the Armagnacs (those loyal to the French Royal Family and the Orléanist Lords) and the Burgundians (those loyal to the English Royal Family and Anglo-allied Burgundian Lords), experienced the intense suffering of a late Middle Ages power struggle, namely: famine, sieges, plagues, disease and extreme weather conditions, thus life expectancy was short. Very short. The English Regent, John Duke of Bedford, ruled a stricken Paris in the years that followed the deaths of his ambitious brother, King Henry V of England and the mentally unstable Armagnac King Charles VI of France, (only seven weeks apart), when the Anglo-Burgundian alliance sought to rule over all of France. That very first Danse Macabre mural was destroyed in 1669 when the wall was demolished. 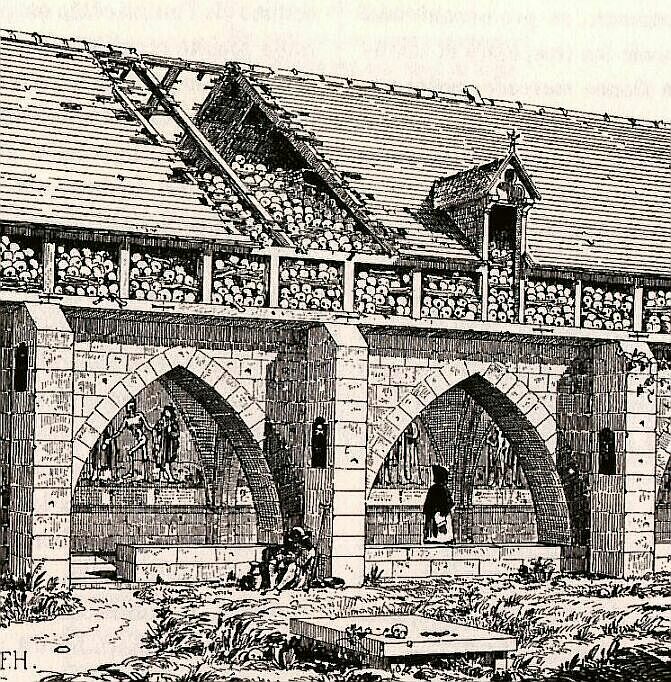 The copious corpses of medieval Paris were eventually relocated in a mass exhumation to the city’s catacombs due to the unsanitary conditions of the Holy Innocent’s in the late 18th century, and the church was also destroyed around this time. 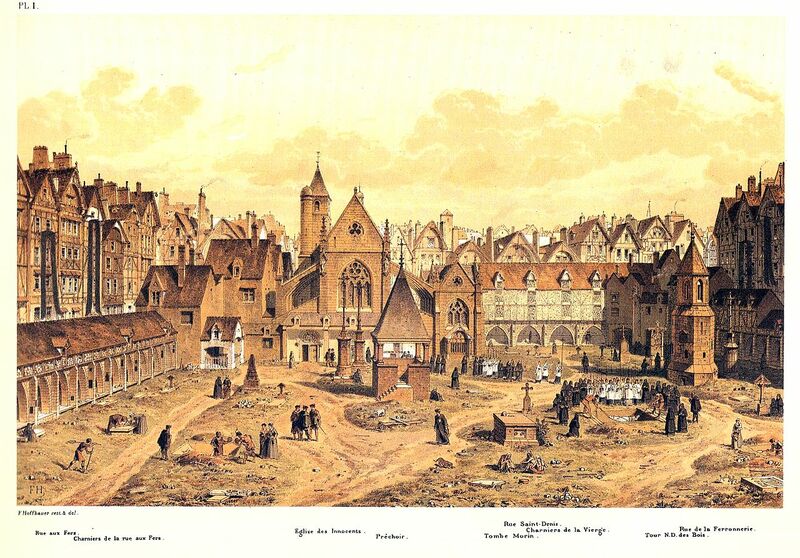 All that remains today is the original Fountain of Innocents, moved and rebuilt in the centre of the new market, now known as the Place Joachim-du-Bellay. 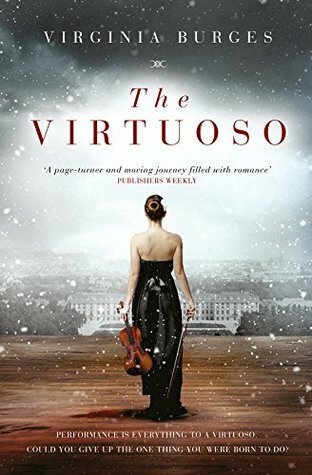 The opening chords of the solo violin are meant to put you on edge, and so it’s hardly surprising the work wasn’t as popular in the 19th century as it is today. I personally think those first startling, dissonant and jarring notes are pure genius when taken in the context of the subject matter. 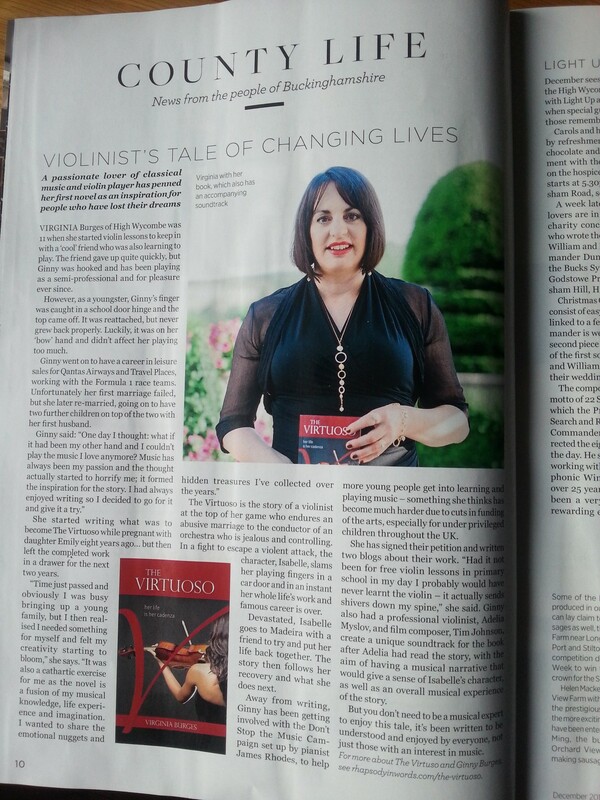 It also has a surprisingly jaunty and devilishly good melody that makes you want to dance death’s jig… I love to play it at home on my violin. According to legend, “Death” appears at midnight every year on Halloween. Death calls forth the dead from their graves to dance for him while he plays his fiddle (here represented by a solo violin). His skeletons dance for him until the rooster crows at dawn, when they must return to their graves until the next year. The piece opens with a harp playing a single note, D, twelve times (the twelve strokes of midnight) which is accompanied by soft chords from the string section. 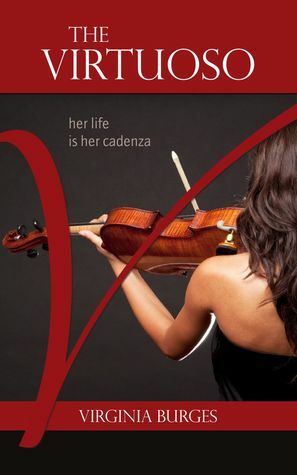 The solo violin enters playing the tritone consisting of an A and an E-flat—in an example of scordatura tuning, the violinist’s E string has actually been tuned down to an E-flat to create the dissonant tritone. The first theme is heard on a solo flute, followed by the second theme, a descending scale on the solo violin which is accompanied by soft chords from the string section. The first and second themes, or fragments of them, are then heard throughout the various sections of the orchestra. The piece becomes more energetic and at its midpoint, right after a contrapuntal section based on the second theme, there is a direct quote played by the woodwinds of the Dies Irae, a Gregorian chant from the Requiem that is melodically related to the work’s second theme. The Dies Irae is presented unusually in a major key. After this section the piece returns to the first and second themes and climaxes with the full orchestra playing very strong dynamics. Then there is an abrupt break in the texture and the coda represents the dawn breaking (a cockerel’s crow, played by the oboe) and the skeletons returning to their graves. The Gromoglasova sisters do a chilling job on two pianos! Composer and virtuoso pianist Franz Liszt had something of an obsession with death, it featured in quite a few of his compositions, but Totentanz is the most well-known. Winding up the ravelled mold. I’d like to thank you for visiting my blog and wish you a happy Halloween!